So when the British returned, one of their jobs was to get the trains running again. They didn't waste any time, and the first train ran on the Sep 29, 1945 ... straight into a brick wall! Permalink Submitted by David on Tue, 2019-03-12 19:10. There's a description of the railways on page 88 of the 1946 Annual Report. The highlighted text below suggests there were still engines that could be used at the end of the Japanese occupation, but it's not clear if any services were run. It was clearly a matter of importance both to Hong Kong’s and to China’s economic recovery that the railway from Hong Kong to Canton should be put into effective operation as soon as possible after the conclusion of hostilities, but the task of re-equipping the railway was a heavy one. During the period of occupation the Japanese had carried out no adequate maintenance of railway property, not even of the locomotives which were still in use at the time of the Japanese surrender, and the workshops at Kowloon had been so stripped of machinery that completely new workshop equipment was required. In the meantime, pending the arrival of new machinery, overhauls to rolling stock of every description had to be carried out with the minimum of tools and with plant improvised from local resources. By 14th November, 1945, a through train service between Hong Kong and Canton had been re-started. For most of the year under review it was possible to run only one train a day from each terminus but in November, 1946, a second train a day each way was added to the schedule. During the same period the running time for the journey from Kowloon to Canton was progressively reduced from 8 1/4 hours to 4 1/2 hours. By the end of the year it was considered that there was sufficient passenger traffic for a third daily train but through lack of rolling stock and difficulties of maintenance it had not so far been possible to introduce this extension of the service. At the end of the year there were as many passenger train services running between Kowloon and Canton as there were in 1938 but local services and goods trains were not as frequent as in that year. Passengers carried in 1946, compared with 1938, were about 1 1/2 millions against 2 1/4 millions. Similar figures for tonnage of goods carried on the railway showed a decrease from 482,000 to 197,000 tons. One factor which delayed the rehabilitation of the railway was the lack of replacements for normal railway material such as rails, sleepers, signalling apparatus, workshop plant and tools. Many months passed before any major equipment for the railway was received in the Colony, with the exception of certain bridge material and a number of locomotives. Some assistance was rendered by the Canton-Hankow Railway and the Chinese Ministry of Communications’ local supply office which lent a quantity of rails, sleepers, fish plates, and bolts, but at the end of the year much work remained to be done. 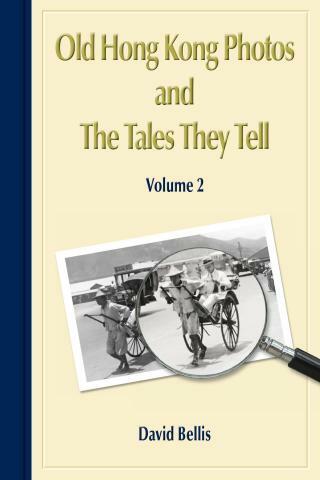 Permalink Submitted by IDJ on Tue, 2019-03-12 23:37.
extracted from Royal Air Force Construction Service 1939-46, a long chapter in which concerns rebuilding the basic infrastructure in Hong Kong after the liberation. On the Canton and Kowloon railway there were two tunnels, one being Beacon Hill, 2,000 metres (6,500 feet) in length, and a party discovered that both had been mined by British forces prior to the Japanese occupation. Severe damage was done to the tunnel linings, but temporary shoring had been effected by the Japanese. After Sqn. Ldr. Ronald MacKintosh’s arrival in Hong Kong one of the first jobs was the examination of the rail tunnels. The plant squadron found a tiny rail car, engine driven, which after an overhaul took them up the line, with Sqn. Ldr. MacKintosh sitting on the roof with car head-lamps to examine the roof of the tunnel. He was able to report that the tunnels were safe to use. The rail car was taken to the border and back, parties of Japanese soldiers at each station presenting arms for the Sqn. Ldr.’s benefit. Knowing what they did about the inhuman way in which the British prisoners of war had been treated, the Japs were treated with the contempt they deserved and were ignored. It was considered necessary to survey the line through to Canton. A first attempt was made by road and after penetrating some twenty miles into China the mission was abandoned because armed Japanese soldiers had wrecked the road and the bridges were unsafe. A second attempt was made by air and this time the line was found to be clear through to Canton. An account of the first journey makes interesting reading. “September 9th 1945 — 0600 hrs. We are ready to make steam. This proves somewhat laborious. After much sweat, and using tons of peanut shells as fuel, we make “smoke”. The Chinese driver sounds a loud toot on the engine’s whistle, and with much clatter of metal, we slowly move away from the Kowloon clock tower and the railway sidings”. “The speedo registers 12 miles per hour. After many moments of doubt, we have a feeling of elation. Soon a sharp rise looms ahead. “C for Charlie” as we have named our engine, makes a gallant effort, puffs and struggles for a minute or two, gives a heavy sigh — and stops!”. “We check our location on the railway map which we have somehow managed to acquire. We have progressed 10 miles. Chiang (No I Engine driver) nonchalantly informs us that we can now relax for 30 minutes, whilst he encourages “Charlie” to make more steam”. “Forty-five minutes later our train is persuaded to advance a further seven miles to the little halt at Tai Po Kau, a small fishing village close to Tolo harbour”. “Once a flourishing fishing community, with dozens of junks and sampans, Tolo Harbour was now quiet and deserted. The sun was high, it was very hot close to 90 degrees, and no doubt the rest was a welcome relief’. “It takes an hour before “Charlie” can be coaxed into making the final push to Fanling, where stocks of timber are reported to have been stored by the Japanese Army. The engine puffs along eventually arriving at the little station platform where the team disembark. This is territory well-known to the interpreter, a pre-war resident and businessman”. “Within a mile of the railway they reach a clearing with extensive lines of timber well stacked and cut ready for transportation. After checking and recording the quantities of timbers available, the officer in charge travels along the dusty road to a large brick-built mansion with stable outbuildings. All is quiet and appears deserted. In front of the building is a wide and open forecourt. Quite suddenly there is a commotion and a troop of some 50 Japanese soldiers appears from the stable buildings”. “The situation is tense. There had been no previous contact with occupying troops in this area since the notice of surrender. It was uncertain how they would react. For perhaps 15 seconds no one made a move. Then two things happened almost simultaneously. The interpreter arrived at a run, and from the main building a Japanese colonel in full dress uniform advanced carrying his ceremonial sword. Bowing profusely to the RAF officer, he presented his sword as a token of surrender. Through the interpreter he was asked to state the number of troops under his command, the answer was astonishing, “2,500 together with 25 horses” came the reply”. This was almost a sixth of the entire Japanese occupation force. There was no way in which these could be brought to Kowloon, certainly not on the available transport of one dilapidated truck. Realising that there had been skirmishing and some looting near the border villages due to the presence of communist guerrillas, it was thought better that the Japanese should remain at their outpost to maintain order until such time as a British force could relieve them. The sword was therefore returned to the Japanese colonel, and whilst his formal surrender had been accepted, he was instructed to await the arrival of further British troops at Fanling. Honour being satisfied, the survey party gave a huge sigh of relief and departed for Kowloon with an incredible story. After the trains got through to Canton the Chinese troops used it to travel through to Kowloon for transfer to Shanghai. Consideration was given to the possibility of effecting further temporary repairs, but it was decided that a more comprehensive scheme was necessary and that in the meantime the service, though limited, must re-commence as an operational necessity. A small supply of coal was located and a regular daily service was instituted on 11th September. This not only enabled fuel to be transported for the power station, but it also once again made transport available to the main supply sources of fresh vegetables. When Commando troops arrived at a later stage, the railway proved invaluable for transporting men and stores to their posts in the New Territories. ‘Wing’ personnel in the railway workshops serviced two engines and eighteen pieces of rolling stock and later made available a further twelve trucks and six coaches. Among the list of priorities was the airfield at Kai Tak, and a detachment of 5026 Squadron went straight from the troop ship to the airfield. Here they found one of the worst examples of the Japanese occupation. The buildings were in a shocking state, electric light and sanitary fittings had been wrecked, the sewage system was inoperative and in some of the buildings sewage was actually floating on the floors. Knowing the importance of this airfield, the personnel worked with a will and within three days it was operational. A detachment of 4857 Quarry Flight undertook the dangerous task of clearing the bomb dumps and magazines of Japanese bombs, pyrotechnics, fuses and ammunition. I believe there is at least one image of a KCR steam locomotive being worked possibly by RAF or Royal Navy personnel on in a covered workshop in the IWM's 'Hong Kong' series of WW2 photographs. Permalink Submitted by moddsey on Thu, 2019-03-14 01:15.
b) The same is true of coaches. These are all repairable and may still be used but the seats have been ripped out and converted into a Japanese conception of a bed. Under the Japanese, the service was largely a night affair as a precaution against aerial attack. A regular train service to Shumchun (Lowu) is now being maintained. The Japanese are still in control of Shumchun and other stations across the border. Permalink Submitted by IDJ on Wed, 2019-03-13 17:15. Permalink Submitted by David on Wed, 2019-03-13 17:18. Thanks to IDJ and Moddsey for the extra information and photo. It's clear there were trains running before 29th of September, so maybe the 29th was the first time that engine ran, or maybe the filmmakers just wanted a good title for their film! Permalink Submitted by moddsey on Thu, 2019-03-14 01:14. The incident of the train derailment at Lowu is covered in the China Mail on 1 October 1945. However, the event date is given as 30 September 1945. A mix-up ? The train journey was organised to bring troops of the 13th Chinese Army to take up quarters in Kowloon. A schedule of the initial train service is given below. Down-train service: Leave Lowu at 14:00. Arrive Tsim Sha Tsui at 15;55. Both up and down services would stop at stations along the way. No fares were charged so as allow tradesmen to bring produce and vegetables to the Kowloon and Hong Kong markets.